im totally adoring this hippie dippie look. you look great in those jeans. 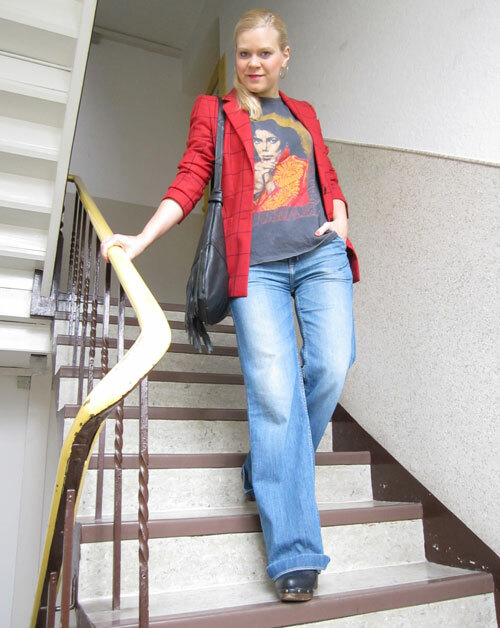 Wow, your MJ t-shirt rocks! Michael! Oh my, it still makes me sad to know that he's gone. Love the shirt! And your fringe shirt. I haven't seen the artist yet, I'll probably rent it. 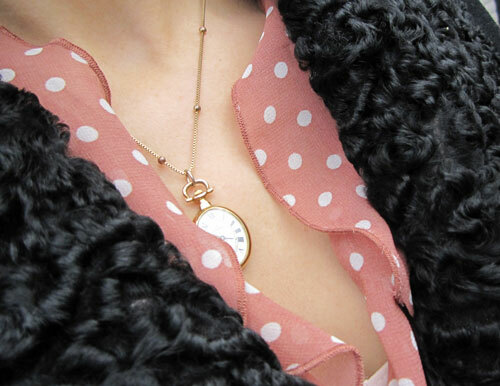 I really like that coat with the sweet polka dot top and necklace! So pretty! amazing top and jeans!! love your outfit!! Beautiful coat!!!! You didn't like The Artist?? I thought it was cute. But I don't think it would've been as good without the dog. I would have not left it in the store either! Your Michael Jackson t is rad! You did not like the artist, first bad comment i have heard about it. wünsch dir einen schönen sonntag hübsche! I haven't seen the Artist yet, I have to check it out because there's too much hype around it. I love the blazer and the clock pendant. I absolutely love your coat!I think the Artist was a bit overrated too but I liked it anyway,have a lovely Sunday! das obere outfit und shirt mag ich voll! die jeans ist ja mega geil! top outfit! Both of these coats are awesome. I'm especially loving the blazer in the first outfit. Such a cool, casual outfit too.